The best and most popular places to see in Russia’s northern capital. We have written guides on where to go and what to see in Moscow, from theaters to bars to places for kids. St. Petersburg also has many (although not more!) landmarks, historical sites and gastronomical delights. The city has been home to many Russian writers, artists, tsars and also Vladimir Putin, the current president of Russia. (Here you can learn about some of the places he has lived, worked or relaxed.) Take a look and remember to bookmark links for later reference! Before planning your trip, make sure to check out the macabre history of St. Petersburg. The State Hermitage Museum is home to Russia's largest collection of art. The Hermitage cats (almost an institution in and of themselves) have lived in the Winter Palace since the time of Empress Elizaveta Petrovna. Kunstkamera was built in 1727 and was the very first museum in Russia. The museum is famous for its colorful display of human and animal “freaks” collected by Peter the Great. The Faberge Museum is a must visit for all Romanov art and history lovers. At the heart of the museum is the collection of precious Faberge objects purchased by oligarch Viktor Vekselberg from the Forbes family for $100 million in 2004. The Erarta Museum of Contemporary Art is a private museum that functions as an exhibition space and venue for theater and music performances. The Russian State Museum, founded by Emperor Nicholas II in 1895, is the city’s greatest repository of Russian fine art. The Marble Palace, a branch of the Russian Museum, can be considered a “museum within the museum” due to its history, architecture and the collection of fine art inside. The Peter and Paul Fortress, located on Hare Island, is where the history of St. Petersburg began. The fortress was named after the Peter and Paul Cathedral—a tomb for kings and great princess. The New Museum, a private museum opened by businessman and art patron Aslan Chekhoev, and is devoted to 20th and 21st century Russian art. Watch our 360 tour with Tim Kirby to the Imperial Porcelain Fabric. First in line is the Mariinsky Theater (nicknamed “Mariinka”), which first opened in 1783 as the Bolshoi Stone Theater. Today, the theater continues to put on major performances in both opera and dance. Another great St. Petersburg theater, the Alexandrinsky Theater, is considered to be the oldest theater in Russia (it was established in 1756 by Empress Elizaveta Petrovna) and is luxurious inside and out. The Mikhailovsky Theater, founded in 1833, is also one of the oldest ballet and opera houses in the country. 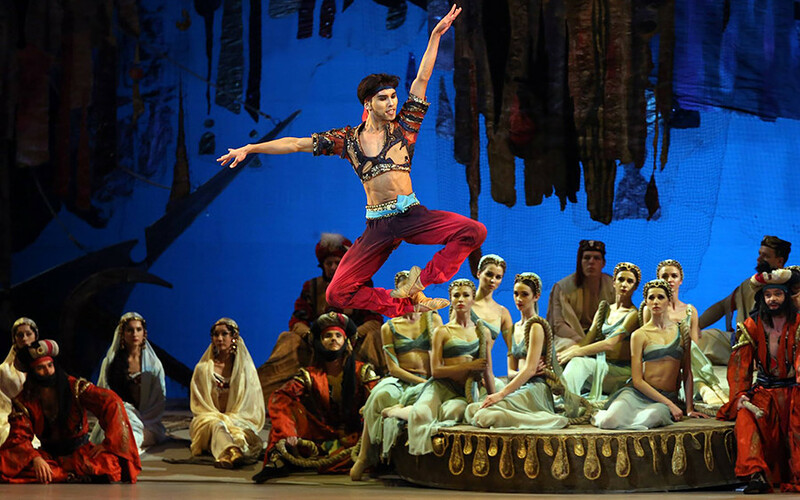 There are a number of foreign dancers in the troupe, and until recently the theater was directed by Spaniard Nacho Duato, who is now at Moscow’s Stanislavsky Theater. Some other theaters in St. Petersburg: Tovstonogov Bolshoi Drama Theater, St. Petersburg Lensoviet Theatre, Maly Drama Theatre, St. Petersburg Comedy Theatre. Peterhof is a town 47 km from St. Petersburg that served as the summer residence of the tsars in the 18th and 19th centuries. For this reason, it’s sometimes referred to as the Russian Versailles. 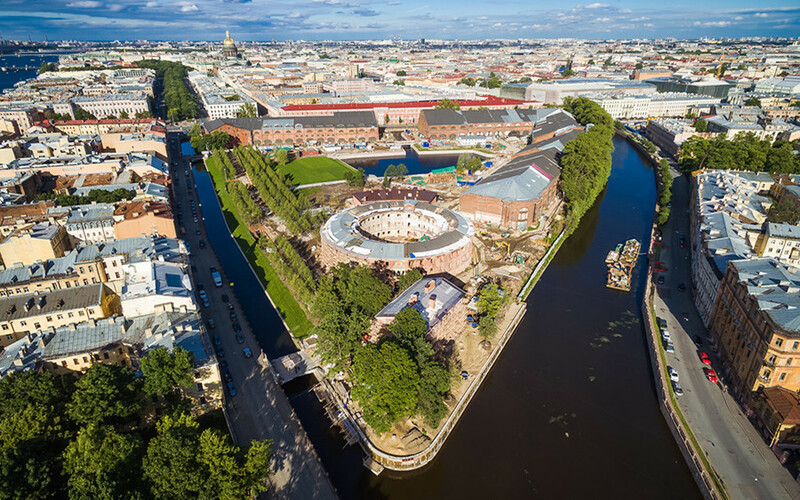 The Park of the 300th Year Anniversary of St. Petersburg is perhaps the busiest place to enjoy a view of the sea since the territory is filled with fountains, statues, 300 crabapple trees (a gift from the city of Helsinki), a lighthouse, a wave pool even a diving school. Lake Ladoga is Europe’s largest lake and where the “Road of Life,” which brought 360,000 tons of supplies to the besieged residents of Leningrad during the Blockade from 1941-1944, began. New Holland Island is a hipster hotspot dedicated to the pursuit of fun, art and outdoor activities. Parks, streets, embankments or boat trips are perfect for enjoying the White Nights—a natural phenomenon when the sun sets for only a few hours during the night. You can see it from approximately the end of May until the end of June. Check out these 12 places to see the sea in and around St. Petersburg and these tips for enjoying the city like a local each month. Kronstadt is a city located on Kotlin Island in the Gulf of Finland. In 1703, on the southern part of the island, Peter the Great ordered the construction of a fort to protect St. Petersburg from the Swedish navy. St. Isaac’s Cathedral offers the best city panorama viewpoint of the city and is one of the most famous landmarks. Tip: The best view of St. Isaac’s Cathedral can be seen from the center of Isaakievskaya Square by the monument of Emperor Nicholas I on a horse. Kazan Cathedral remains a stronghold of Orthodox Christianity and is framed with Vatican-style columns. Tip: The best view of the Kazan Cathedral is from the other side of Nevsky Prospect. Just look out the windows of Singer Coffee Shop on the second floor of the House of Books store (28 Nevsky Prospect). The Cathedral of the Resurrection of Christ on Spilled Blood, a.k.a the Church of the Savior on Blood. The story behind the cathedral is tragic: It was established in 1883 as a memorial on the site of where Tsar Alexander II was assassinated. Tip: Make sure to see the cathedral from the inside. In the museum ticket office, you can rent an audio guide in one of a dozen languages for 200 rubles and learn about the artistic techniques and materials used in the cathedral. At 7:30 in the morning, you can enter the cathedral free of charge during the Russian Orthodox service. 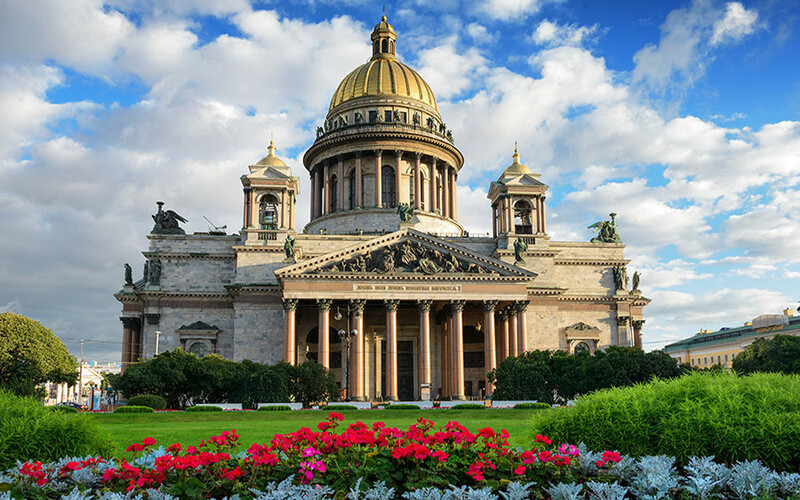 More on St. Petersburg’s main cathedrals, their history and tips for seeing them. Landmarks on Nevsky Prospect (the main street in the city): Singer Building or House of Books (Nevsky 28), Eliseyev Emporium (Nevsky 56), Street artists (Nevsky 32–34), Aurora Cinema (Nevsky 60), Anichkov Bridge (Nevsky 39 and 41). 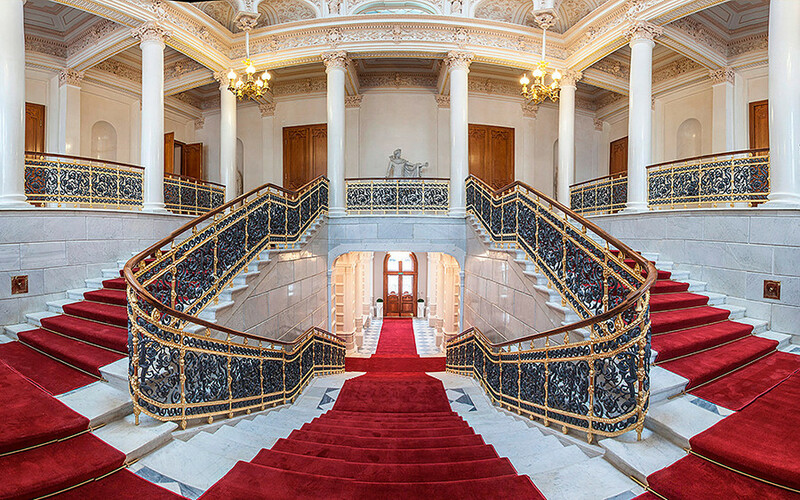 Other luxurious palaces to visit around St. Petersburg: Menshikov Palace, Yusupov Palace, Sheremetyev Palace, Stroganov Palace. And don’t forget about the many bridges—one of the main symbols of St. Petersburg. There about 800 in the city, and 218 are pedestrian only. The city's very first bridge, Troitsky Most (Trinity Bridge), was built in 1803. Here are 4 unusual spots near St. Petersburg with an imperial history! Did you know that St. Petersburg has a rich literary history? Here is a special map with 10 key places linked to Russian writers. 5 restaurants serving Russian cuisine with a Baltic Sea flavor. 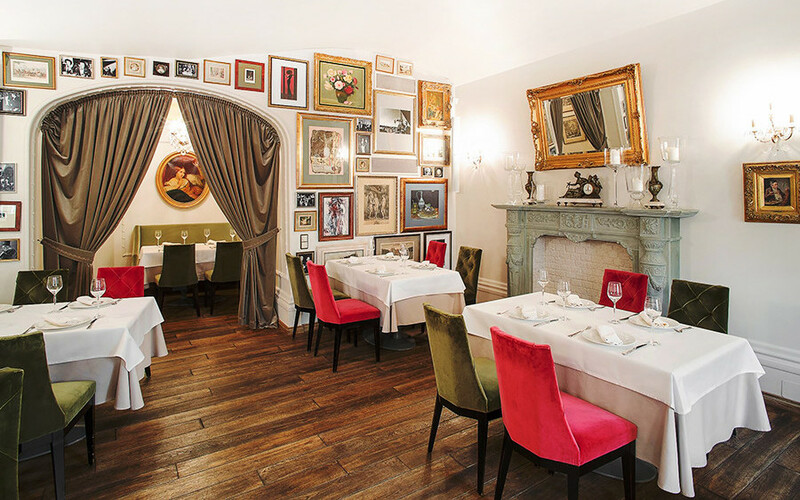 5 contemporary Russian dishes you must try in St. Petersburg. Where to try authentic Soviet fast food. 5 Soviet-style places to eat. Beyond borsch and pelmeni: Top Moscow and St. Petersburg restaurants serving modern Russian cuisine. Sure, it’s always fun to visit the Hermitage, St. Petersburg’s most renowned museum, but what if your kids don’t happen to share your passion for art and history? 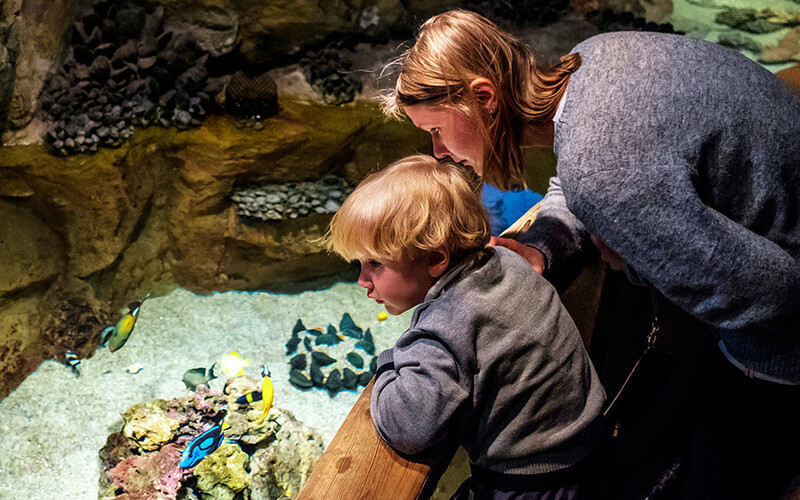 Here are some handy tips for visiting Russia’s northern capital with children, including the “Planet Neptune” aquarium, a children’s railroad, wild rides at Divo Ostrov and swimming with dolphins. You can also watch how Tim Kirby managed to survive two days with only $100 in St. Petersburg.